After a couple of rounds of design modifications the final design was chosen. The biggest concern to the homeowner was heating the lower level of the house. 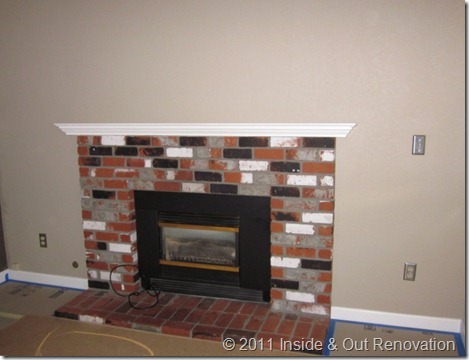 A Kozy Thief River Falls fireplace was installed by Sundance Energy that took care of the heating. The next issues were to have the wires hidden for the TV and to find a mantel that matched the theme of the wall. 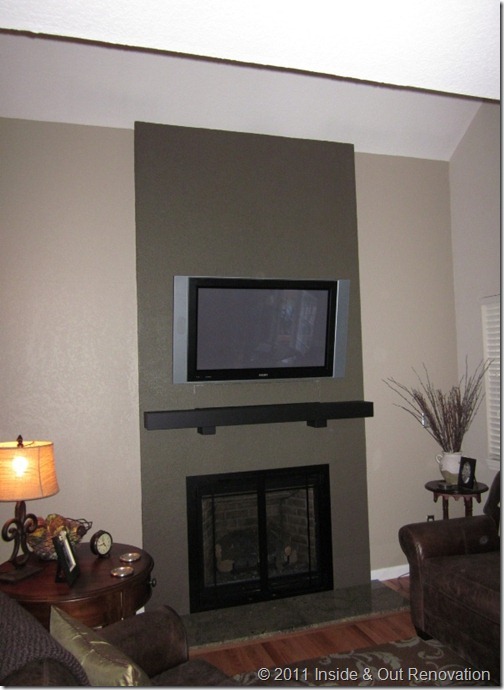 For this a simple box mantel was chosen and painted Satin black to match the colors of the TV and the front of the Kozy fireplace. The most difficult part of the project was to hide the electronics in a tasteful way and yet make them accessible. If you look closely, under the TV you may notice the door that covers a cavity that houses the DVD and cable box.